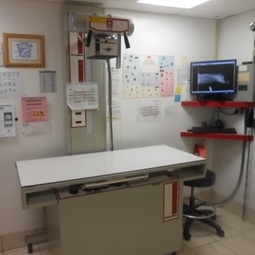 Radiology/x-rays - Veterinary Medical Ctr of Lebanon, Inc.
X-rays can be taken of your pet with same day results. The xrays are immediately entered into our computer software and a cd with a copy of the xray can be made for the owner if requested. If needed, we can email the x-rays to a specialist with most turn around times within 24 hours.